Dr. Sok is a practicing attorney and the Principal at SokSiphana&associates (a member of ZICO Law), a law and consulting firm specialized in international trade and corporate law in Phnom Penh. 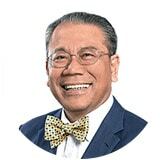 Previously from 1999 to 2005, Dr. Sok served as Secretary of State at the Ministry of Commerce, where he worked extensively on issues related to trade policies and development, commercial legal framework and economic integration. During his service at the Ministry, he was also a negotiator in Cambodia’s accession to the World Trade Organization (WTO). From October 2005 to July 2009 he served as Director at the International Trade Center (ITC) a joint technical agency of the UNCTAD and the WTO in Geneva, Switzerland.